Our graphic designs & videos are practical. We design our graphics simply, so to avoid long download times. Web Design Place of Palmdale, serving Santa Clarita and Lancaster in the Antelope Valley, CA, photographs, edits your photographs, such as annotations and touch-ups, graphs, bars, image thumbnails, marquees, custom button designs, digital scanning, animated and static banner designs. 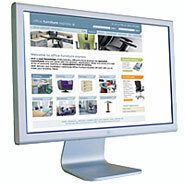 We can add sound and/or video embedding into your web page, with or without down load buttons. Need a YouTube Video? We'll design a video for you! But remember, excessive design can detract from the message of your web page, unless your web page is broadcasting design. Most products and services promoted on the Internet don't need the hype, especially practical shoppers and consumers. One of our popular graphical requests is to mute the brightness of one's company logo into a water mark, touch it up for increase clarity, re-size it and tile it as the background for your page. If you don't have a logo, we'll design one for you. Remember, we design our web pages to compliment textual information not over power it. Our years of experience in web site design has informed us that "flashy designs arouses curiosity, simplicity makes the sale." Your home page is designed like a precise Table of Contents with an eye opening short preface full of descriptive keywords so search engines will find your web site. Our web page designs have clear text, functional designs with a strong Internet presence. Web Design Place® has conservative, colorful, spicy , errie, strange , mellow, industrial backgrounds and animated backgrounds to choose from! The fact is a plain white background is the most popular and practical. Web Design Place® has a graphic library of thousands of backgrounds, animations, fonts, photos, sounds, music, buttons etc. to make your web page attract attention, so to maintain that interest just long enough to keep prospective clients focused into reading further into your web site. Let's browse through this graphic selection together and design a web site collectively. With your expertise in your field and vision, and our experience in web design, graphics and Internet promotion we will create a web site that people will patronize.